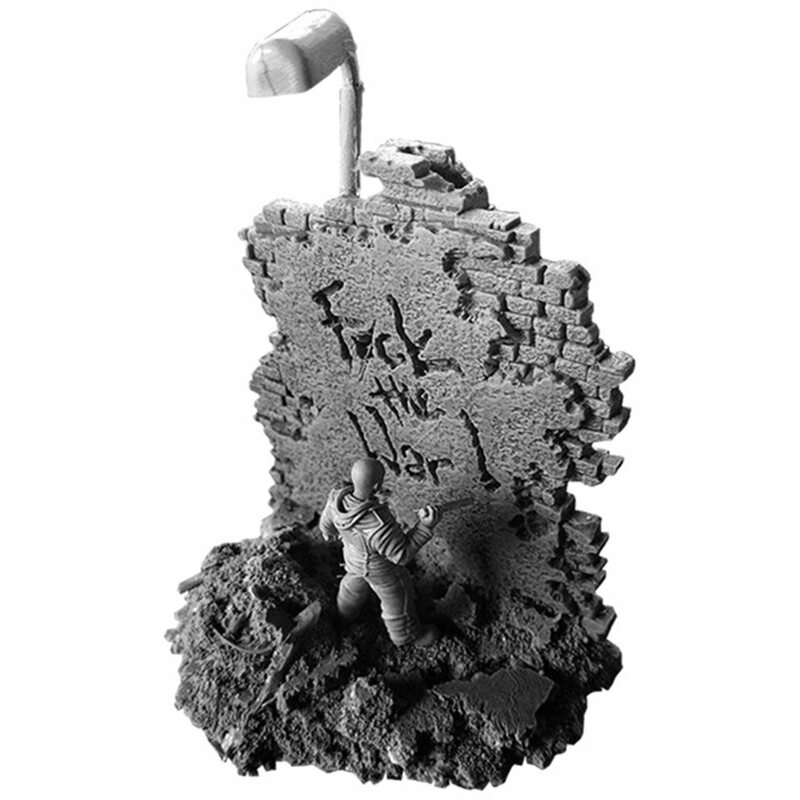 A resin diorama of a civilian expressing his emotions towards the conflicts and the situation he was involved in, against his will. *Available for painted version add-on. It is a highly detailed sculpted diorama made of resin.